Pleasurable Hobbies: Something to be proud about! Something to be proud about! I think being a responsible individual can be taught to anyone at their young age. I mean, we never told our kids to do things that we do but I am so proud that whatever we do, our children wants to be involve and always willing to help. 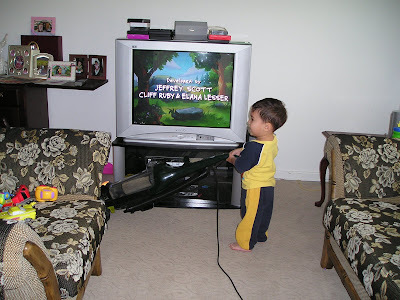 When I came home the other day, my wife Rose and my two energetic kids are helping their Mom. 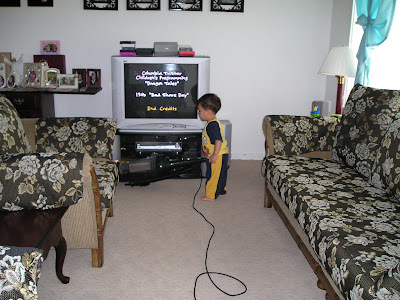 I took this pictures of my son, trying to push the vacuum cleaner. Isn't this something to be proud of? Yes John, you are correct. The kids wants to get involved in whatever we do. But, we often neglect them. Thanks for dropping to my blog, Keep visiting. This is my first visit to your blog and will drop here often. I'm following your blog now, hope you too follow mine in my page. you're lucky to have helpful children. my daughter like to help me always especially in the kitchen. I guess our characters reflect on how our kids act..
hhehehhe...looks like EJ is not moving...too big for him! 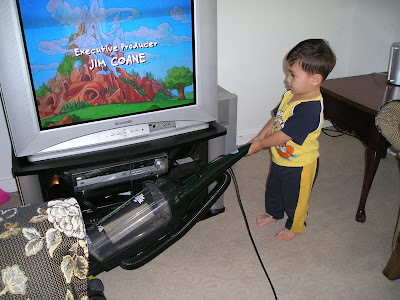 Yes, young as they are, they are always trying to be helpful to their parents. Shows the great nurturing and care both you and Rose have given to your kids. Thanks for the post. God bless you always. Like father, like mother I guess!! what a big boy doing a good job!! I like the photo, and I agree. You are blessed to have helpful kids, but that's a reflection on the parents, too.